Clumping perennial with white felt-like green foliage on the top and gray on bottom make this a super plant for the garden. Great look around roses and shrubs. Unique cream star-flower in early summer will intrigue anyone passing by. This plant needs excellent drainage to be content. Shear back blooms to keep tidy. Drought tolerant. 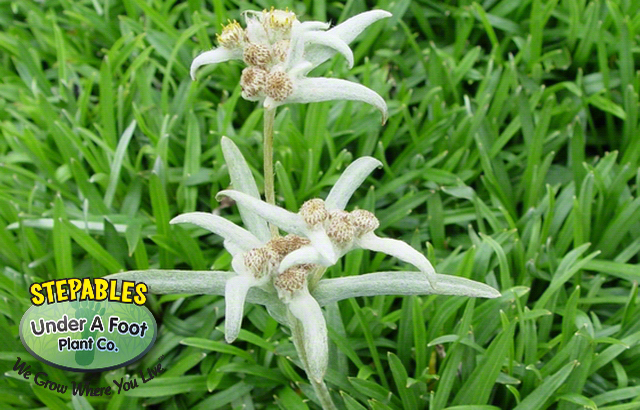 This Edelweiss is a cool plant and has such a unique flower that you should put it somewhere you won’t miss the bloom. It is that weird!